At Beacon Audiology, the audiologists performing hearing assessments on children are dually qualified as Audiologists and Speech Language Therapists. This enables us to provide an holistic assessment of the child as well as to provide appropriate recommendations for further assessments. Performing hearing assessments on children requires advanced audiological skills as well as sophisticated and child centred equipment. At Beacon Audiology we have equipped ourselves with the necessary skill set and equipment to perform paediatric hearing assessments on children of all ages. All children should have a full hearing assessment before they start school even if there are no perceived hearing problems. A unilateral hearing loss (one sided) and a mild hearing loss are very difficult to detect without a thorough hearing assessment. If you have any concerns regarding your child’s developmental milestones including hearing and listening, speech and language and social development read more here. This test is used to assess middle ear function. It is useful in determining if the middle ear has abnormal air pressure, detecting the presence of fluid that may be related to a variety of conditions including certain ear infections (otitis media) or even allergies (glue ear), a perforation or dislocation of the ossicular bones in the middle or determining the patency of grommets. Otoacoustic emissions (OAE) testing is used to assess the integrity of the outer hair cells in the cochlea (inner ear). A probe tip is placed in the ear and a series of sounds are presented. No behavioral response or co-operation from the child is required. 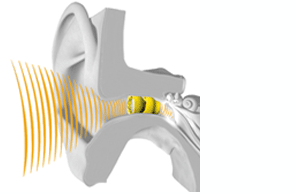 Responses produced by the cochlea are recorded and the test only takes 20-30 seconds. This is a quick, easy and objective test used to assess cochlear function and to rule out the possibility of a hearing loss. This method allows the audiologist to assess the child’s hearing by reinforcing the child’s response with a visual reward. The test can be done in free field (no earphones) by presenting the sounds through speakers. 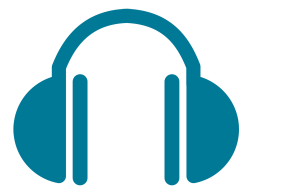 The test can also be done using earphones or insert earphones if the child will tolerate them. Thresholds are obtained in this manner and an audiogram can be plotted, giving an indication of the child’s hearing status. During play audiometry the child responds to sounds presented via earphones or insert earphones with the use of toys/games. In this way the child’s hearing thresholds are determined and can be plotted on an audiogram. Pure-tone Audiometry is used to determine the softest sounds a child can hear. This can be determined using earphones or insert ear phones. Depending on the age of the child various methods are used to obtain responses from the child. The purpose of speech audiometry in children is to determine the softest level at which a child can hear and discriminate words. Minimal word pairs are used when doing speech discrimination testing, for example tree/key, plate/plane, duck/cup. Children with normal hearing should be able to discriminate these words at a very soft level. Speech audiometry is also useful in confirming the results obtained during the hearing assessment. Auditory Brainstem Response (ABR/BSER) is a screening test for hearing loss or deafness, especially notable for its use with newborn infants. It is a method to assess the auditory pathways and brainstem function in response to auditory stimuli, prior to the child developing to the point of describing a possible hearing problem. ABR is a safe and painless test. ABR is performed when the child is asleep or in a resting state. Electrodes are applied to the child’s head and insert earphones are used to provide the sounds. Neurological responses are recorded in response to the sounds presented. The test takes approximately 1 hour.